Those searching for their next vehicle need to be able to distinguish great values from dangerous purchases, and mileage is one of the most important factors to consider. So, what is good mileage on a used car? Many drivers search for vehicles with less than 100,000 miles on the odometer, but the truth is, most of the vehicles manufactured in recent years could last for 200,000 miles or more! If the used car you’re looking at has picked up more than 15,000 miles per year, it’s probably been driven very hard, and it’s not a smart choice. If the vehicle has accrued fewer than 12,000 miles per year, there’s a high chance that it’s a great value. Don’t make the mistake of going too low. If a vehicle is older, but it hasn’t been driven very much, there’s a strong possibility that it hasn’t been properly maintained. A vehicle that has sat around for years is likely to have broken seals or drivetrain issues. Usage: Ask plenty of questions, and find out how the vehicle’s been driven. Has it spent more time in the city, or has it picked up more miles on the open highway? Vehicles that spend a lot of time in traffic will pick up more wear and tear. Climate: Extreme weather conditions can put added stress on a vehicle’s powertrain and drivetrain. Look for a model that’s spent most of its time in a dry, warm climate. Maintenance: Has the vehicle been properly maintained over the years? A model that’s received each and every one of its necessary services is likely to enjoy a much longer lifespan. Find out what to look for in a vehicle history report before you buy. Mechanic’s Opinion: At the end of the day, the best defense against a bad purchase is a quick trip to a local mechanic. A neutral third party can evaluate the vehicle and let you know if it’s suffered major damage. 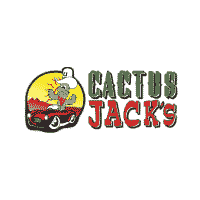 Start the Used Car Purchasing Process with Cactus Jack's Auto Today! There are many reasons to buy a used car, and we’re sure you’ll have a great experience when you make your next purchase at Cactus Jack's Auto! We offer Buy Here Pay Here financing options, and we’re more than willing to offer loans to drivers with no credit or bad credit. Don’t wait to start your next adventure!